It is said, a thing of beauty is a joy forever, for an aesthetician everything has beauty and somewhat it is near to beauty and charm. When we come across people, we judge them the way they appear to us, maybe their physical appearance is all that counts as their first impression. Nobody goes deep down to the pits of skin to find out what a person is all about, how he is facing the challenges of life,, all we see is the outlook a person is carrying. This does not only go with human beings, even everywhere the rule is the same. People prefer a pretty thing over an ugly left over because all of us want the best thing for us and whatsoever. When a designer is to make and compose a design piece, he can never overlook the fundamental aspect of a design which is—Beauty. He keeps beauty intact in every composition to make a design look stunning and unconventional. 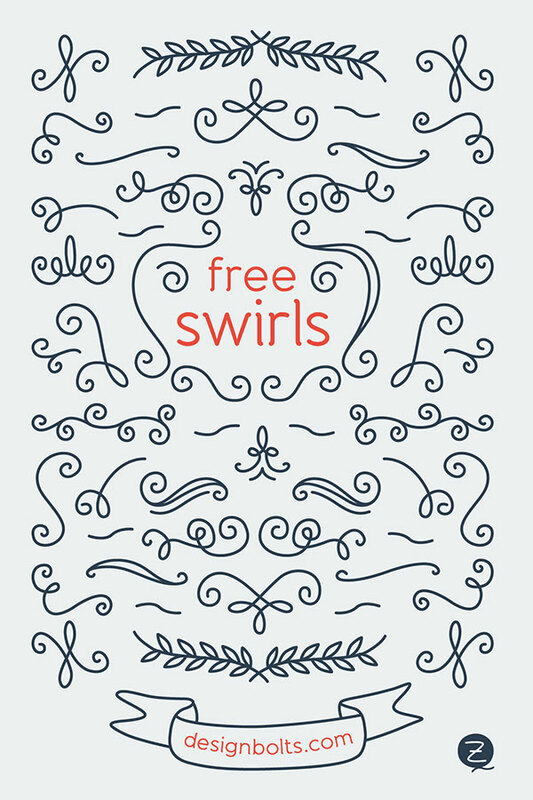 Today I am unfolding before you free decorated Vector swirls for letterers & graphic designers. No matter if it is a typography poster, business cards, birthday cards, any other greeting cards, wedding cards, invitation card, a brochure or a flyer, use swirl to give a real life effect. Now give an ‘umph’ factor to your designs by adding swirl that simply looks amazing, it shows positivity, jubilation, happiness, liveliness, glee and celebration. Have a look down here and use this swirl in your designs. It will for sure turn out to be awesome. Stay hooked to the blog and we will be arranging some more stuff of this kind in future as well. All the posts are kept in special reference to people’s interest. It is a public platform where we entertain you with art and design posts. Your feedback is always encouraging.